I’m in love with this Crochet Easter Egg Bunny. So cute! Don’t you think? 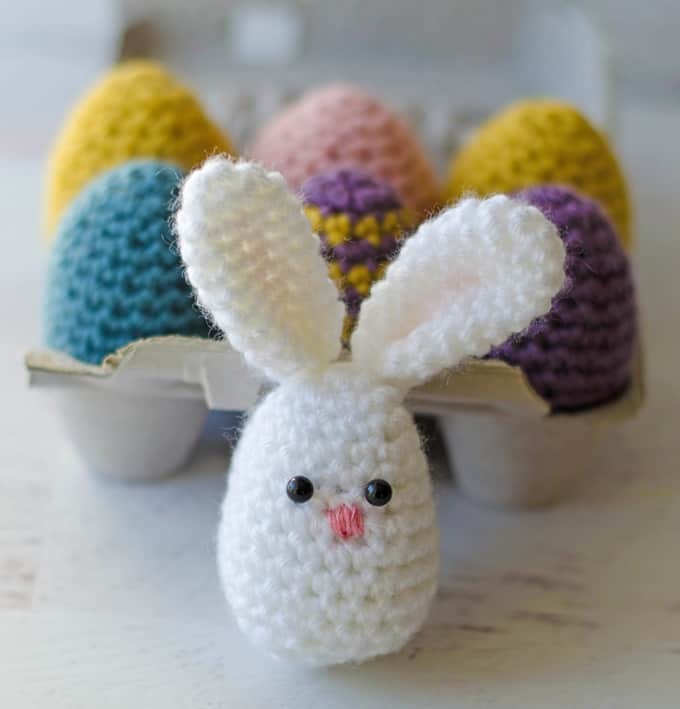 It’s the perfect conclusion to our 3-part Easter Crochet Series! 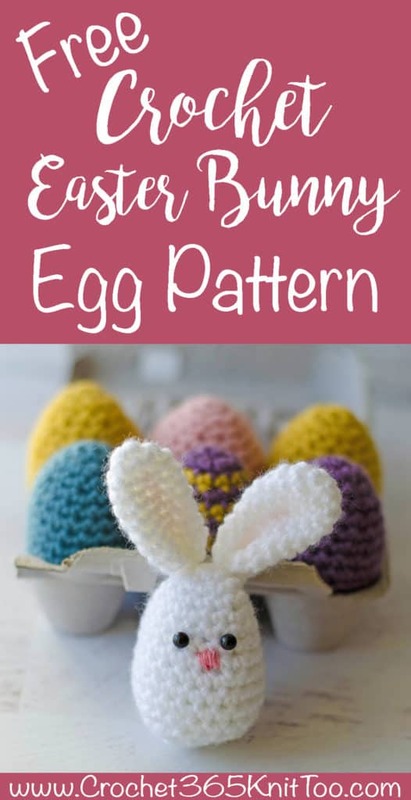 And what a way to welcome in spring!First up were the basic crochet Easter Egg Pattern. Then, last week, we made a darling crochet Easter basket to hold all the goodness. And this week… this cutie pie ~ This Crochet Easter Egg Bunny! All 3 patterns are available together in one ad-free bundle! 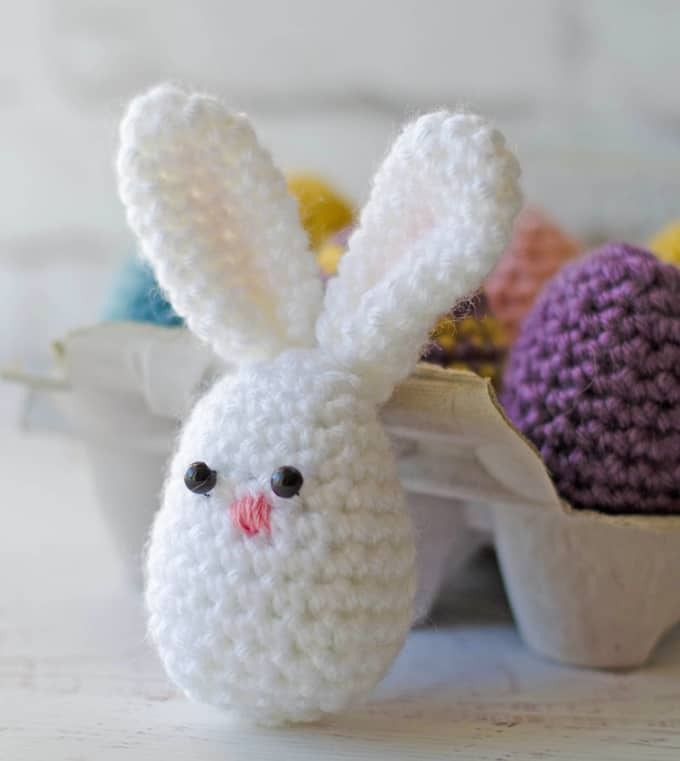 Bunny body: Make an egg in white, following Crochet Easter Egg Pattern. Fold ear in half and sew bottom closed. Then, using same strand of yarn, sew to top of head. Sew on button eyes between rows 5 & 6 of egg, or alternatively, use embroidery floss and a French knot to sew on eyes. Referring to photo for placement, embroider a satin stitch nose over row 7 of egg. 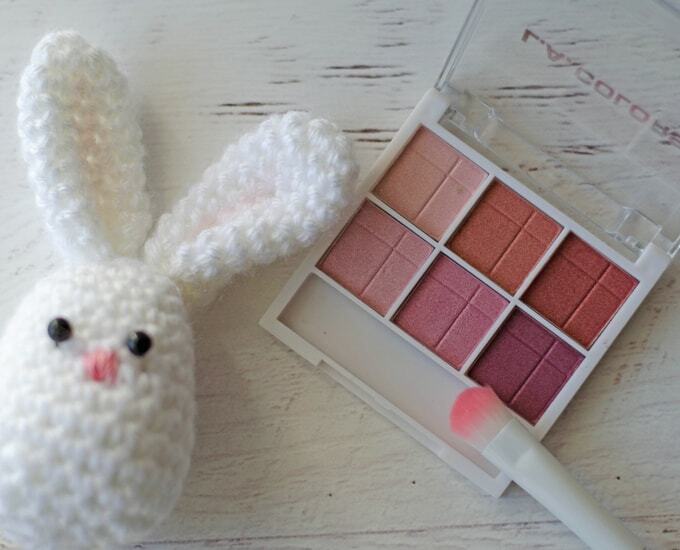 If desired, add pink to inside of bunny ear using pink blush (or pink eyeshadow) and a brush. I purchased pink eyeshadow and a brush from the dollar store just to use on crochet dolls and amigurumi. 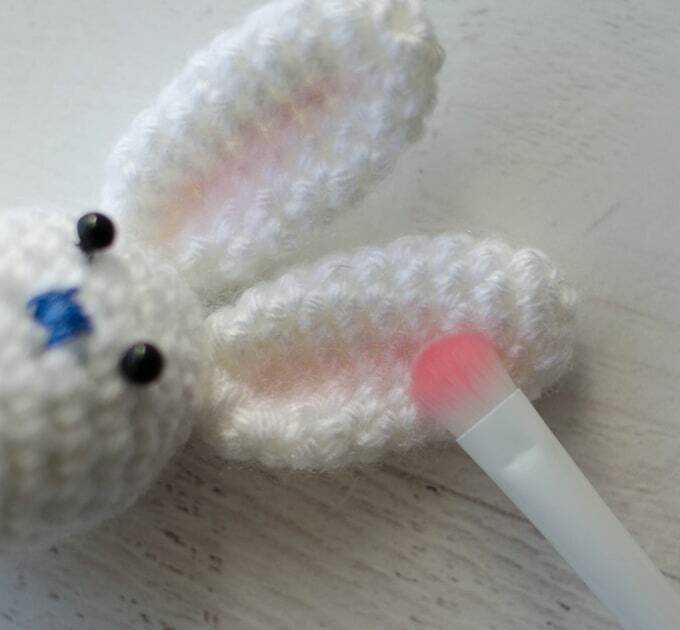 Add the cute Crochet Easter Egg Bunny to the Crochet Easter Basket as a finishing touch! I love seeing your finished projects! If you share your Crochet Easter Egg Bunny on Instagram, be sure to tag me @crochet365knittoo. If you are on Facebook, stop over to the Crochet 365 Knit Too Facebook page and share a photo! I’d love to see your work! Written pattern copyright Cheryl Bennett 2018, all rights reserved. Please do not reprint or repost this pattern. 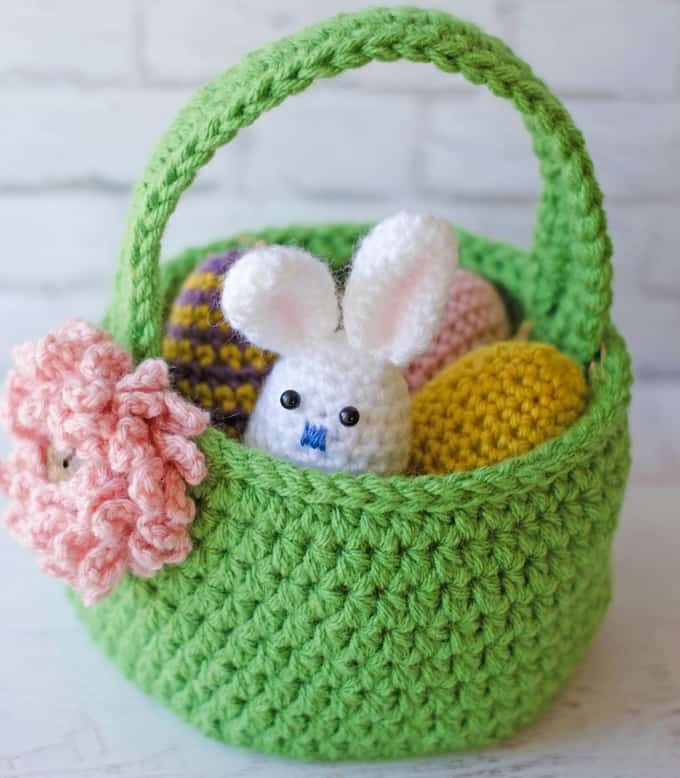 If you would like to share this Crochet Easter Egg Bunny pattern with others, just link to this page. If you’d like to make items for sale from this pattern, please visit my About page for more information. How can I print a pattern without all the other advertisement? Would like pattern only. I’m glad you like the pattern. I do offer a low cost ad-free PDF pattern for those readers who want to print the pattern, but don’t like the ads and large photos. There are links right in the post for that. Hope this helps!